2018 Debra Duncan-Montoya SDAHA Fall show. Congrats Elizabeth Mulica our high points trophy winner! Welcome to the San Diego Arabian Horse Association. Tierra Del Norte Arabian Horse Association and Desert Arabian Horse Association recently merged to form San Diego Arabian Horse Association. Our club's main charter is to promote the Arabian Horse in our local community. 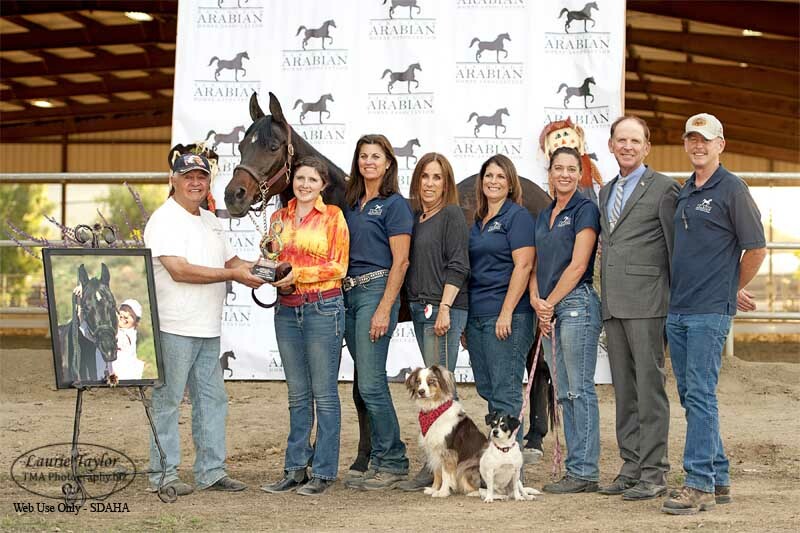 Our efforts will be focused on introducing the Arabian horse to our community through new ideas which may include: one day Class A shows, hosting Arabian Community Shows (ACS), supporting local all-breed community shows, hosting educational clinics and trail rides. We look forward to promoting the Arabian Horse in our community and welcome your ideas! and wish to show in the Arabian/HA/AA classes!!! All breeds welcome. Rail classes, trail classes, Dressage & Western Dressage! How many classes would you like to sponsor?